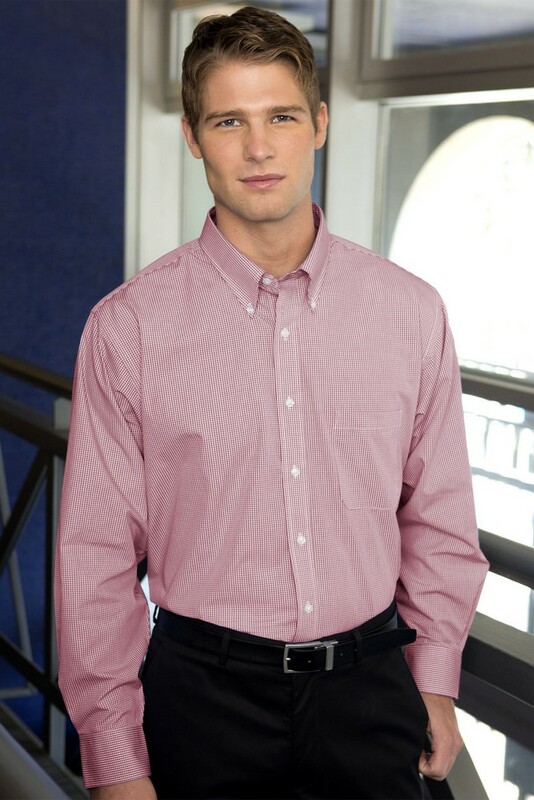 The custom Van Heusen Button-Up Gingham Check Shirt is durable, and resistant to wrinkles and shrinking. Add a splash of style to your wardrobe and comfortably face any challenge that may come your way with the Van Heusen Button-Up Gingham Check Shirt. The shirt is made from a combination of cotton and polyester material which makes it durable, resistant to wrinkles and shrinking. This versatile shirt is comfortable to wear and dries quickly making it easy to care for. It also offers protection against abrasion and mildew. The long-sleeve design offers a perfect combination of form and function, making it ideal for business or formal wear. Promotion Pros is one of the best places to find custom embroidered apparel online, so stop your search today. Our embroidered and screen printed logos look fantastic and wear even better. Place an order today and discover for yourself the magic of your entire group wearing beautiful, quality promotional gear custom-made just for you! The Van Heusen Women's Button-Up Gingham Shirt pairs with a pair of jeans or tailored pants.